The Fine Dining Etiquette Talk & Dinner event is about to take place in less than 2 hours' time. Our guests might be getting ready and getting dressed up now. Just a gentle reminder, the dress code is semi-formal/traditional for ladies and business casual for gentlemen. The venue for the event tonight is Evergreen Laurel Hotel, Gurney Room which is situated at the ground floor of the hotel. There is a basement carpark in the hotel and the carpark charge for the guests of this event is at a flat rate of RM4.00 per entry. The entrance from the carpark is the door seen at the end of the hallway on the left most of the picture. 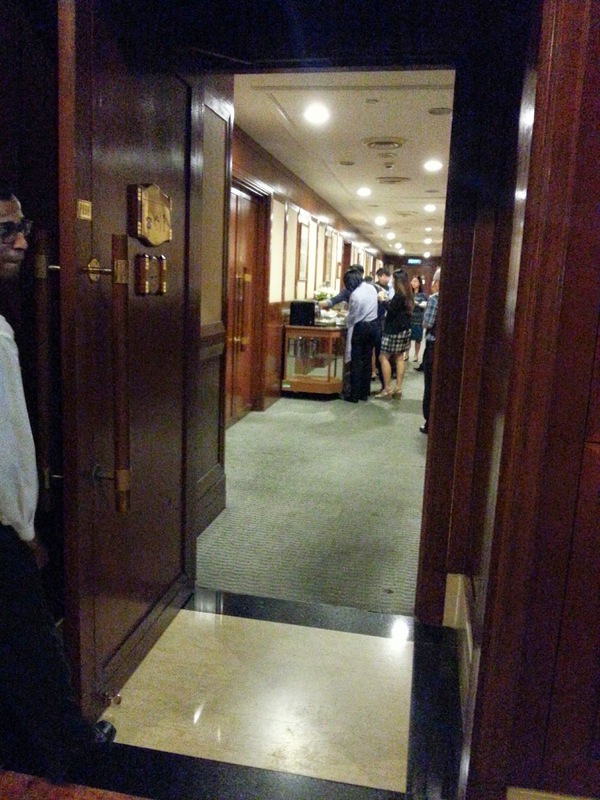 The door to the function rooms is the one on the right most of the picture. 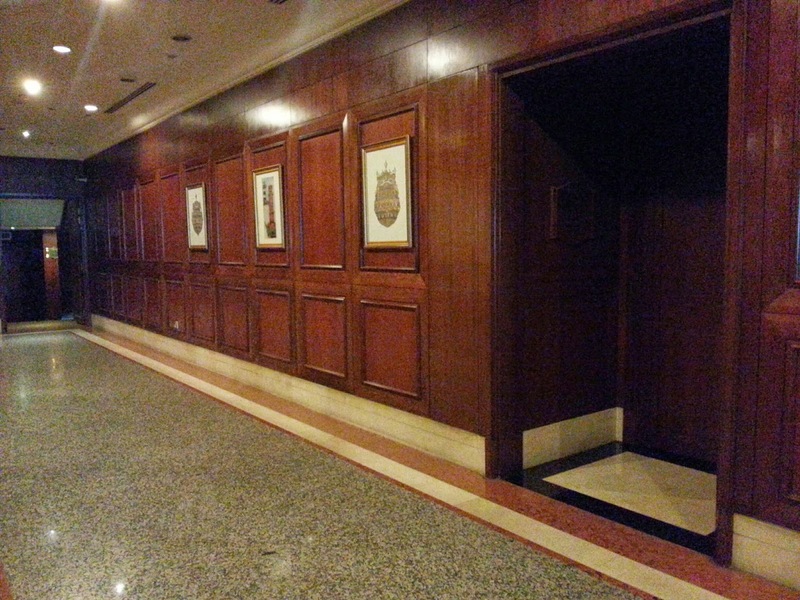 Once the door is opened, you will see a long hallway of function rooms. Please look out for the Gurney Room tag and our registration desk for this event will be there. 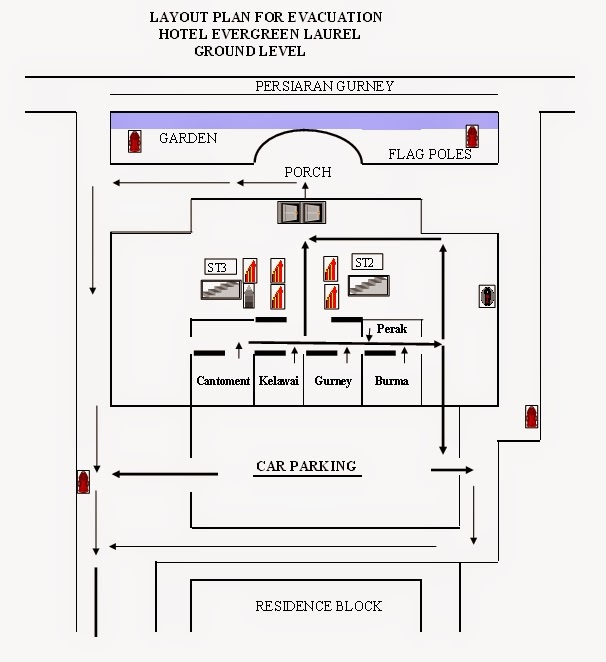 This is the evacuation plan for the hotel, in case of fire. We look forward to seeing you at our event tonight. We have another recommendation by Christopher, who is a business owner. Christopher provides cleaning service to the whole of Malaysia. This is what he has to say about his dining experience and why he thinks this event is useful. The video can be found on YouTube here. The dress code for this event is semi-formal or traditional for ladies and for the gentlemen, it is business casual or traditional. Semi-formal dress code for ladies include classy knee length evening dress (preferably not shorter than 1 inch above the knee), dressy blouse with skirt and slacks. Examples of semi-formal dressing for ladies are as per the pictures below. Picture source from http://glambistro.com/wp-content/uploads/2012/09/Semi-formal-attire.jpg. The third dress from the left might be a little too short. Business casual dress code for gentlemen include collared shirt, blazer/sports jacket, pants and lace up/slip on leather shoes. 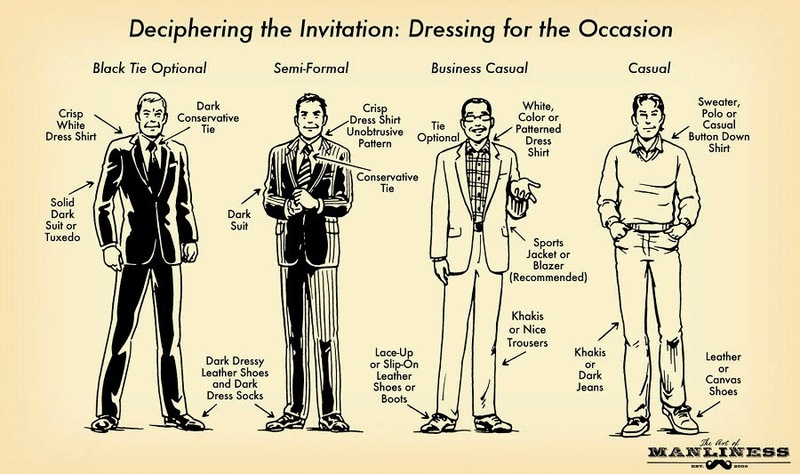 An example of business casual dressing for gentlemen are as per the picture below.